Happy Tax Day to my fellow Americans! 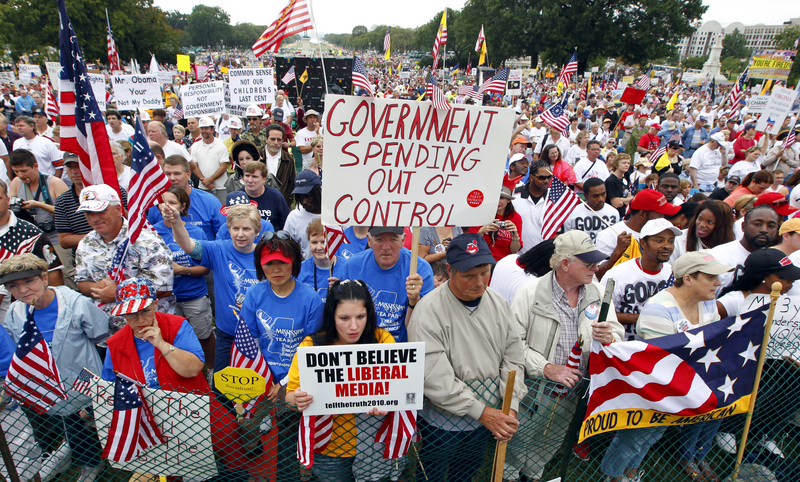 I remember a few short years ago the Tea Party were about government over spending, lowering taxes on the middle class and eliminating pork in bills. Fast foward to the present day… We gave tax breaks to the uber rich and our spending is out of control. Where are the Tea Party Patriots? Wht are Republicans silent on our exploding deficit? I went to a meeting last week and there was a segment regarding the economic forecast for 2019 and 2020. When the speaker was done, I asked the question regarding the climbing of our national debt, along with interest rates and that at about 26 trillion, “we” won’t be able to service it? The presenter looked me square in the eyes and responded, it doesn’t matter. “We” can print money. His answer truly scared the hell out of me and still does. Seriously…that can’t really be the attitude of those out in front of this? I label it no man’s land and “we” are getting ready to soon travel in those unchartered waters. Good thing Donald Trump is a fiscally conservative President, right? Our country had to go on the attack and reverse the huge negative balance of trade with so many countries and the stealing of our technology. No politician would have engaged this problem the way Trump has. It had to be done and he’s doing it. Give credit where credit is due…and if he’s successful, history will love this man? So… he’s not fiscally conservative? It really is this spending spree that has given me the insight that the Tea Party was not about taxes and spending. It was racism clothed in taxes and spending. They didn’t like Obama because he was black (he wasn’t their president) and that is it. Otherwise, why would they be okay with Trump/Republicans borrowing and spending, but not Obama/Democrats? Hell, Trump and the Republicans had less of a reason to borrow so much. They actually could have started paying down the debt. Complete bunk, do you know who the tea party was supporting in the 2016 primaries? Ted Cruz and Ben Carson, odd choices for a bunch of racists wouldn’t you say? What was bad about the tax bill for middle class families? That most of them got a tax cut? I don’t see that as a bad thing for them. WHERE are the protests at this HUGE increase the national debt during “boom” times? WHY did they protest only the last president when the economy was collapsing? I don’t want them to be racist, but I need evidence to the contrary. WHERE ARE THEY IF THIS WAS ABOUT FISCAL RESPONSIBILITY? They stopped protesting and switched to election organizing long before Obama left office. They were never the majority of the Republican party, that they didn’t get everyone they wanted elected is hardly surprising. And the people they did back and help get elected have been trying their best to slam on the brakes, surely you have heard complaints from democrats and elected establishment republicans alike about those pesky Freedom caucus members throwing a wrench in their plans? I have seen no evidence of Trump being fiscally conservative. Last-minute tips for people still scrambling to file their returns.